8-12′ multi-stemmed shrub. In May this plant has white flowers. September through February it has bright red fruit. 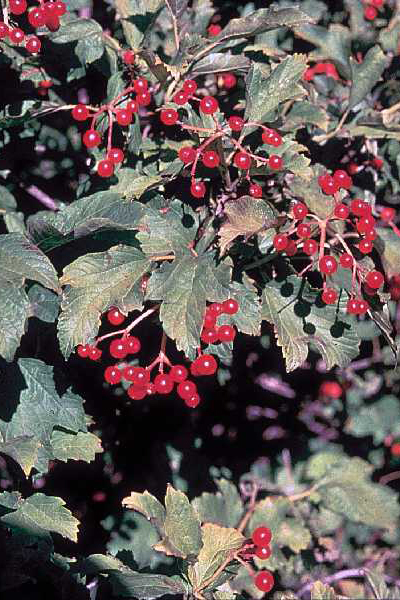 The fruit of American Cranberry is used in jelly and is great for attracting birds.